The majority of dining options in the northern suburbs of Adelaide tends to fall into the categories of diner chains and takeaways. Yet here in the middle of Salisbury, opposite the Town Square lies a hidden gem with an appealing dining option. The cuisine at Mobara is authentic Japanese, with all the intricate knife skills and delicate morsels. Dishes are served just as they would be in Japan. My friends made jokes about not wanting to eat raw fish when I suggested coming here, yet they were curious. We went on a cold winter's night and sat at a large wooden table which could easily have accommodated 14 people comfortably. 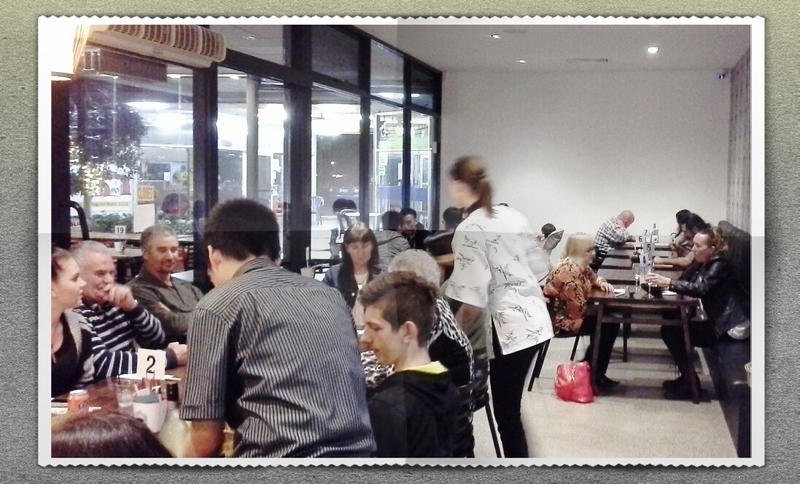 Next to us there was another group of about 10, so this venue caters well to groups. There is also an off-street courtyard with a covered roof for warm summer nights. Great space for groups. Image by Out and About. An entree dish called salmon nigri which is raw salmon wrapped around rice with a topping of various fish roe. There is a big assortment of nigri meals to choose from. Image by Out and About. When I was in Japan on holiday, I was bewildered as to what to order to eat. Often one has to stand outside a restaurant and look at the window display at the fake plastic meals. Once you have decided, you go inside and order. 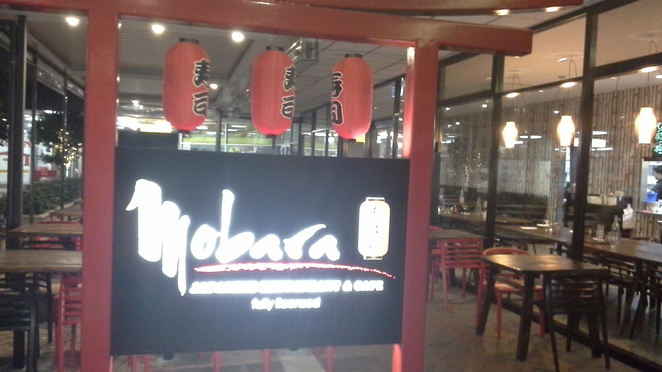 Thankfully here at Mobara, there was plastic to look at but there is a very lengthy menu with photographs of each dish. I asked a waiter if she would explain what the dishes were. It takes quite a while to decipher this menu and make your choices. Then when you decide, you write the number of the dish on an order pad on the table. We should have written our entrees first and sent it to the kitchen, as the whole lot came out almost together so some were eating their entrees while other had mains already. It didn't matter as we were hungry and so we all had something in front of us. This entree dish looks interesting. It's tempura prawns and they look delicious. Image by Out and About. There are some great appetisers and entrees, which are small servings and give you a good introduction to various dishes. 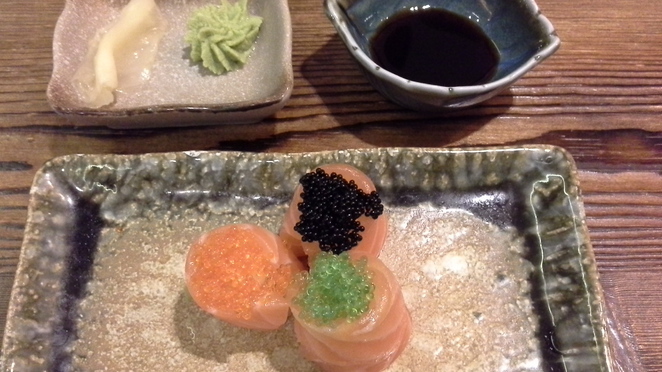 I was the only one who had the raw salmon and fish roe. 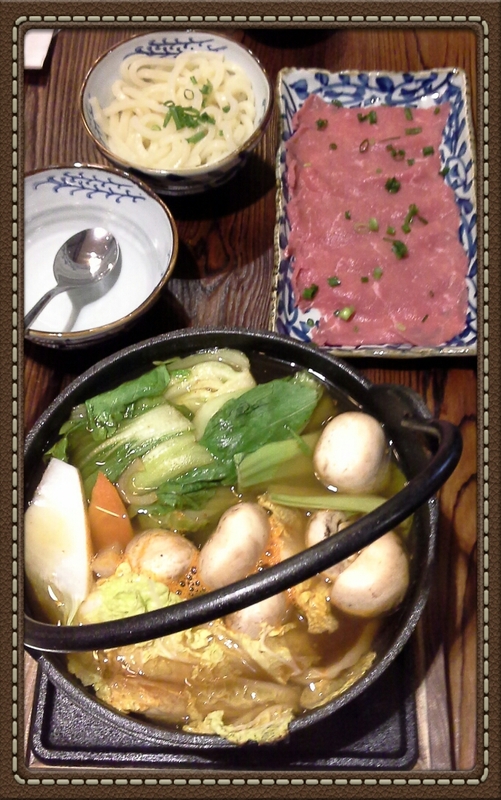 The signature dish is a hot pot, where you cook your own thinly sliced meat in a pot of hot soup and vegetables on a small gas cooker. Hot Pot with gas cooker. Image by Out and About. 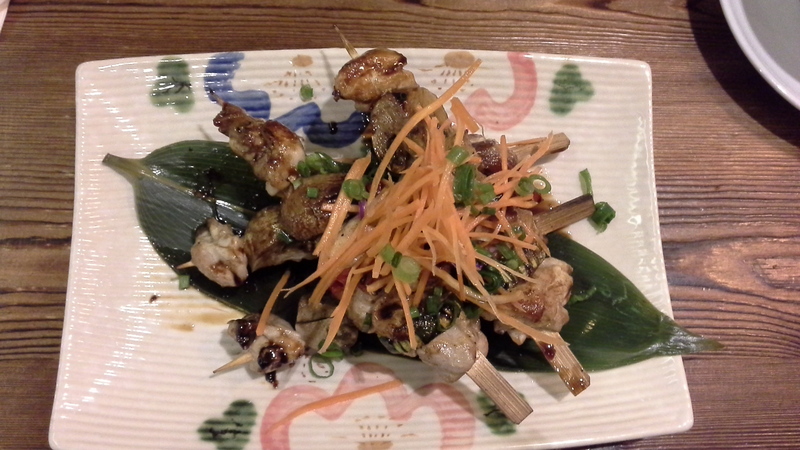 Yakitori are 4 huge chicken skewers but nothing comes with them. I found the dish was a bit too much meat and I should have ordered some extras. Image by Out and About. A great dish to try if you would like a little of everything is 'Zen', which is a tray of meat, rice, miso soup some pickle and sauce, topped off with a little fruit. There are about 8 varieties of Zen. Gluten Free dishes are available, but check on the soy sauce that is used. Everyone was curious as to what everyone ordered and at this stage were deciding what to have on out next visit. 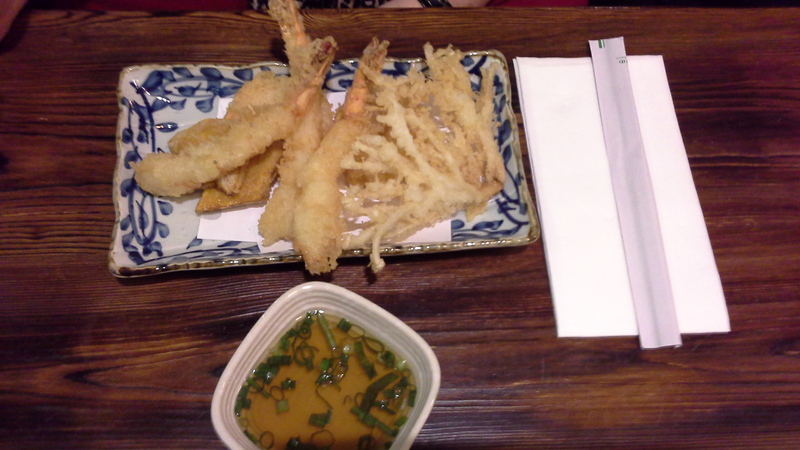 Zen is a platter which has a little of everything and a good choice for an introduction to this cuisine. Image by Out and About. It's not all raw fish. 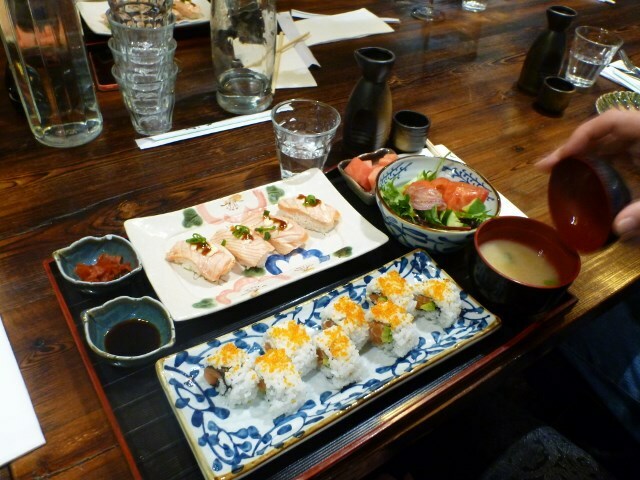 There is something for everyone at Mobara Japanese Restaurant. Image by Out and About. There is a well stocked bar and a good assortment of non-alcoholic drinks and tea from Japan. My friends sampled some sake served in a little pottery jug with cup. 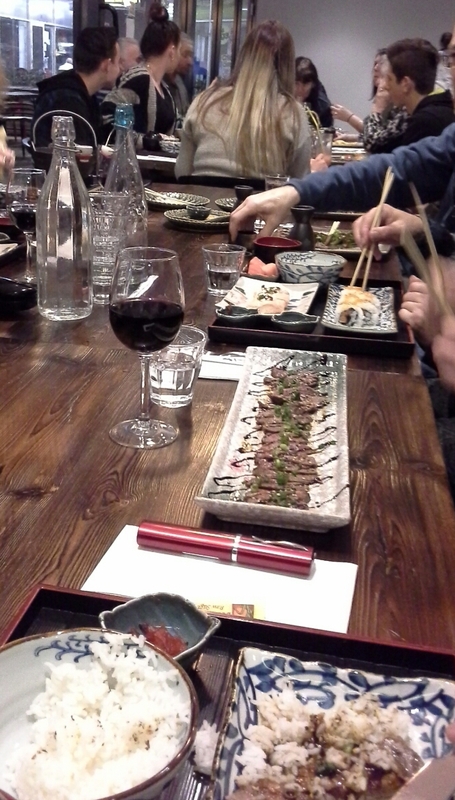 All the food is served on the most pretty Japanese crockery, that makes the food look so appealing. 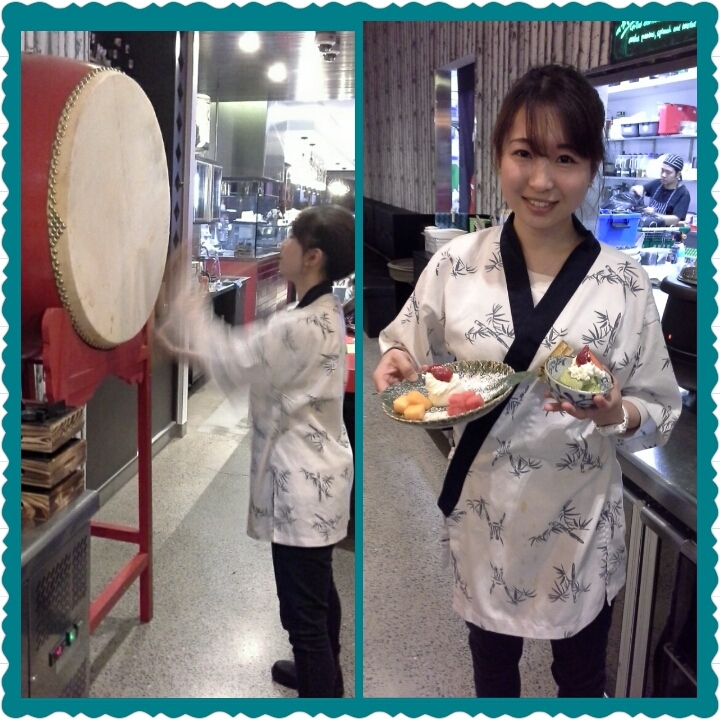 After serving the meals, and upon request, one of the staff played the huge festival drum for us and the whole place clapped. 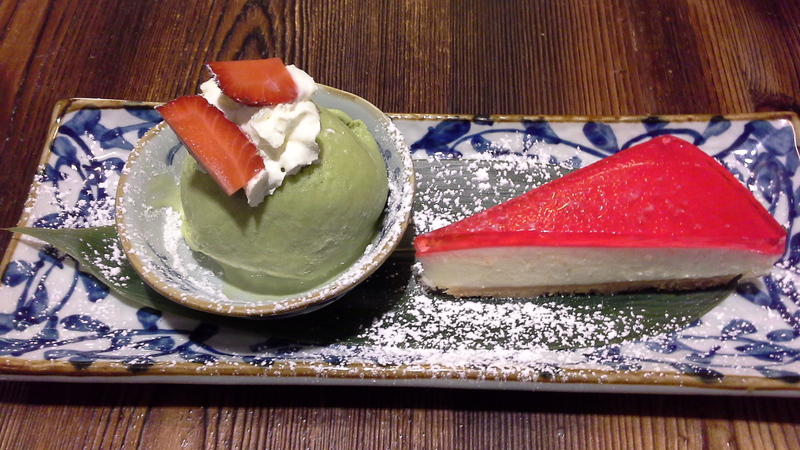 Two treats at the end of the evening, with a drumming demo and some delicious matcha green tea icecream. Image by Out and About. This would make a great venue during the Fringe events at Salisbury so we will return in summer. 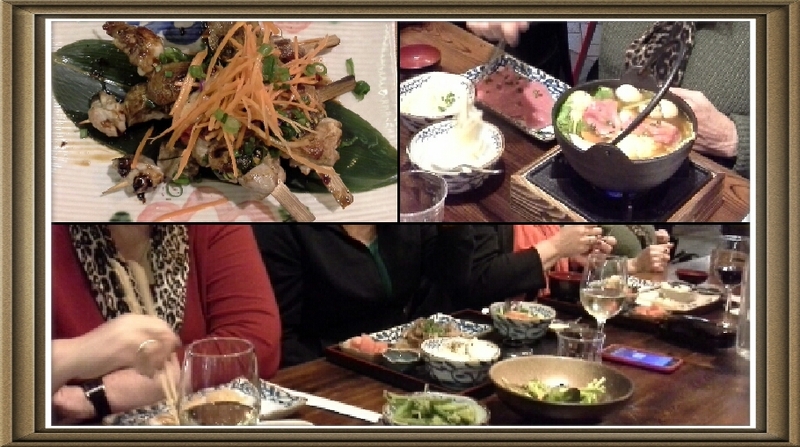 Wherever you live in Adelaide it is worth the trip to have a meal or rather a Japanese experience here. It's a short walk from the station so why not come up north on the train? This restaurant equals the quality of some inner city dining and it needs more recognition. I applaud the owners for establishing in the north where our dining choices were limited. I would have to say Mobara is one of the best casual dining experiences I have had in a long time, and I even liked my raw fish. In fact, we all liked it so much my friends were discussing our return as we paid our bill. Why? Be adventurous and try something different. And a great venue for groups. When: Wednesday - Sunday Lunch 11am- 2.30pm and Dinner 5.30pm- 9pm Monday and Tuesday dining closed. Where: 1/73 John Street, Salisbury, opposite the town square.